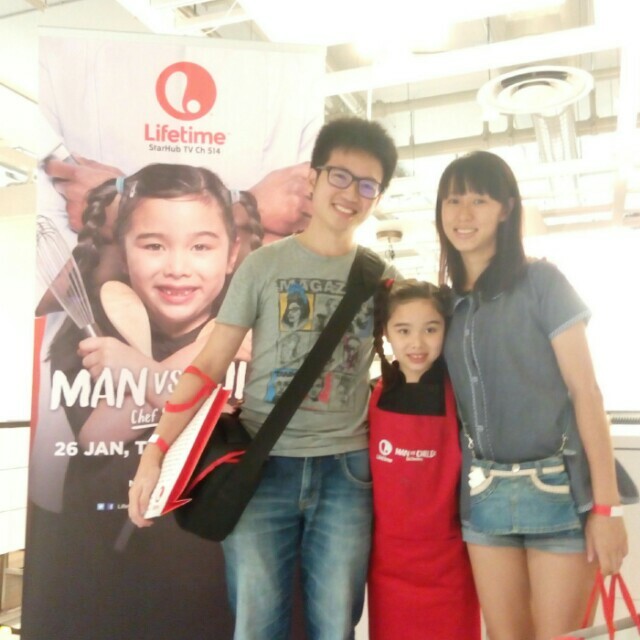 We're attending eight-year-old Chef Estie's Asia Tour event at Ikea today! It's amazing how she's able to be so good at cooking at such a young age. I was still busy playing Gameboy and making my mum angry at her age, I think. This event is part of Lifetime's Man vs Child: Chef Showdown series, where young prodigy chefs cook it out with established adult chefs. There will be five young chefs altogether, with Estie being the youngest of them. 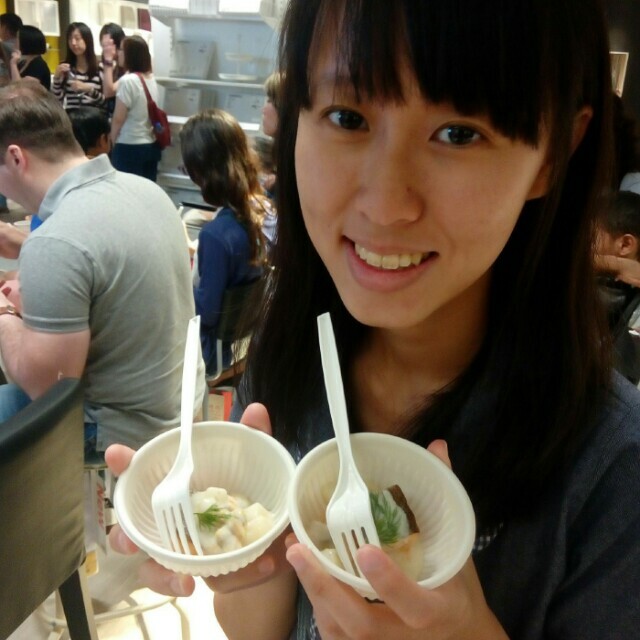 We were given opportunities to try two of Estie's dishes, one being vegetable ban minh and the other was pan-seared salmon with clam chowder sauce. The salmon was my favourite and it really stood out because it's so perfectly cooked, even the skin was deliciously crispy. Way better than a lot of salmon that we usually eat. Too bad we could only try a small sample of it. I am personally amazed by how well Estie handled all the attention on her as well. She juggled both cooking on stage, explaining what she's doing and all the camera flashes. Do checkChef Estie out every Tuesday, 7 and 10pm on Starhub's Lifetime channel. The series premiere will star her, aptly named “Don’t Under-ESTIE-mate Her”. 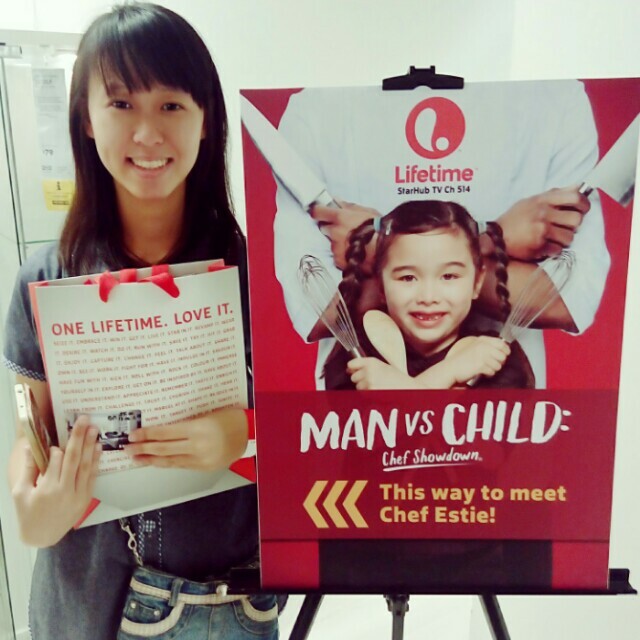 Do catch her and other talented young chefs in Man vs Child: Chef Showdown, which will premiere on Lifetime on 26th January 2016, every Tuesday at 7pm, on Starhub TV channel 514.